After Effects Version: CS4, CS5; File Size: 172mb; Requires Plugins: No; Resolution: 1920x1080. You can promote your product, projects, games and video’s via this presentation. - FULL HD 1920 X1080 & HD PAL 1280 X720 Output Included. - There have 90 Video Displays. - There have 12 Text Place Holders. - You can use Images or video’s. - You can Add your Logo & Company web site As you wish. Because it No need 3rd party plug ins require. - Optical flares, particular & Old film filter pre rendered. - Duration 2 min 30 sec. 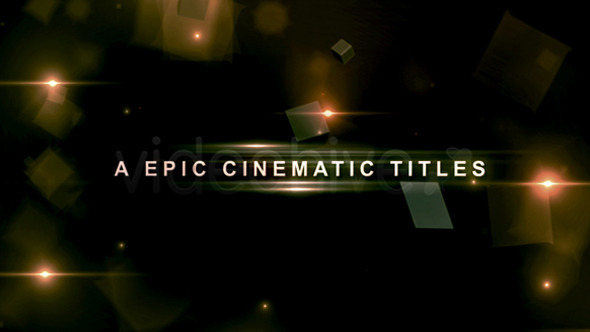 - I used Audio Jungle Author SmartSound "Epic Metal Trailer Music 1"
Keywords: business promo, cinematic, corporate, epic, fashion, film, intro, photographer, portfolio, presentation, showcase, slideshow, trailer, wedding. 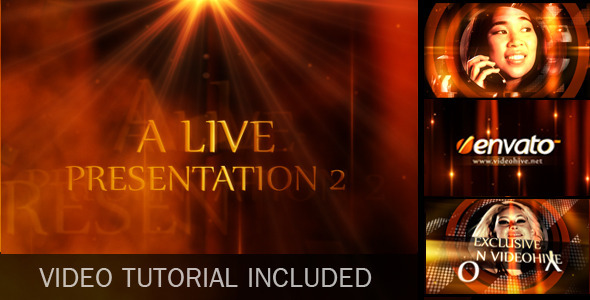 Design After Effects Project - VideoHive A Live Presentation 2 397461 style in Adobe After Effects. 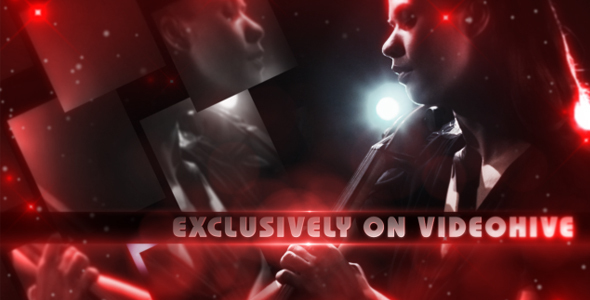 Full details of After Effects Project - VideoHive A Live Presentation 2 397461 for digital design and education. 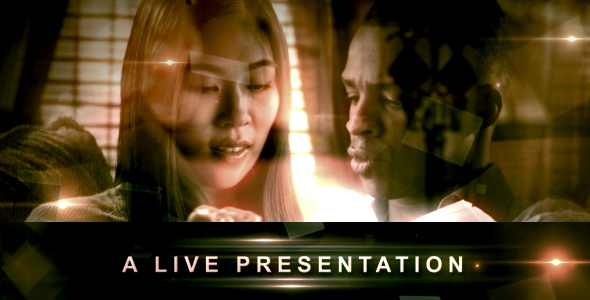 After Effects Project - VideoHive A Live Presentation 2 397461 information, music or audio name, or anything related.